The perfect escape for guests looking to reconnect with nature, and to nurture the mind, body, and spirit. 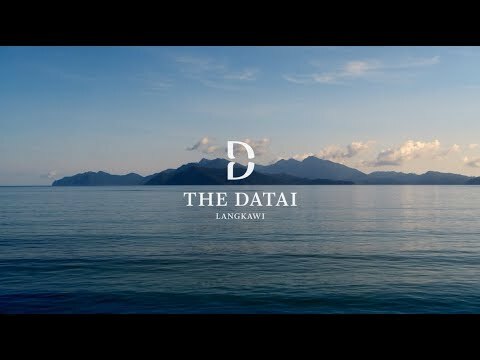 Nestled in the heart of a 10-million-year-old rain forest, The Datai Langkawi is a captivating destination resort that blends into its natural surroundings. The resort’s lush tropical rain forest embraces each room, suite, and villa, with private verandas offering breathtaking views. This serene haven is a place to reconnect with nature and uplift your soul as it offers the perfect escape and allows you to nurture the well-being of mind, body, and spirit. Datai Bay is rated as one of the top ten beaches in the world by National Geographic and together with the resort’s surrounding jungle is host to a wealth of wildlife, some of which are endemic to the area. Elevated among the treetops, set in the very heart of the rain forest, or located directly on the coastline, the dining outlets pay homage to the exotic flavors of the region. Facilities include two swimming pools, the Datai Spa, and a dedicated nature center for guests wishing to participate in conservation and nature activities. Visit the new tribal bamboo longhouse inspired Nature Center, take nature and beach walks with a resident naturalist and marine biologist. Experience the luxury to be your natural self, in harmony with the resort’s unique natural surroundings for your overall well-being. An oasis of relaxation and tranquility, surrounded by a centuries-old rainforest with a footpath leading to an idyllic white sandy beach. 30km/19mi from Langkawi International Airport(LGK). Take a cable car 1 mile (1,700 meters) up Machincang Mountain for a rewarding view of rocky peaks, chasms, cliffs and caves, the Langkawi islands and southern Thailand. Telephone: (+60-4) 9594-225. www.panoramiclangkawi.com. A gorgeous museum housing political gifts to former Prime Minister Tun Dr Mahathir Mohammad, the space features a vintage car collection, paintings, stone carvings and incredible architecture. Telephone: (+60-49)-591-498. The second largest 3D art museum in the world and largest in Malaysia. It features more than 200 impressive artworks that appear almost lifelike when photographed. artinparadise.com.my/ . This interactive museum for Malay arts and crafts offers exhibits for adults and kids and a fascinating glass-blowing studio. Telephone: (+60-49)-591-917. In northeast Langkawi, explore one of the world’s unique natural regions, with a huge mangrove forest and haunting limestone cliffs, island and caves. www.junglewalla.com.